Immersive.health is a blog that educates readers about how VR technology is positively impacting patients and healthcare providers across the world. 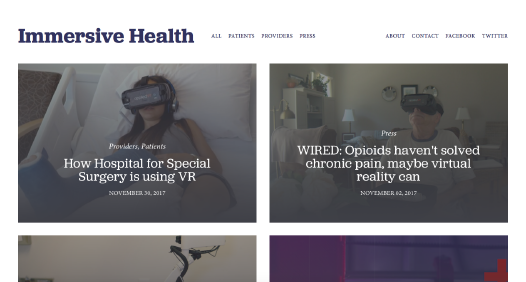 The Immersive.health blog is powered by appliedVR, the first VR platform designed for healthcare which is being used in more than 100 hospitals throughout the US. 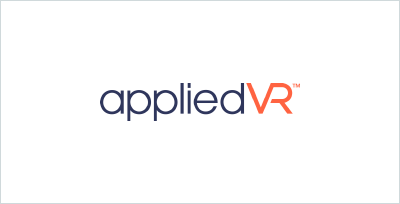 appliedVR’s vision is to drive positive behavior change to solve some of society’s most intractable problems by leveraging the unique attributes of immersive technology. Today.Health drives awareness to new technology by people seeking to improve their health. A vendor directory resource for healthcare marketing teams at hospitals, pharmaceutical companies, and other related groups. Unlearn simulates patient populations using artificial intelligence.